Touted as the most affordable 4G phone with Windows Phone 8.1, the Lumia 638 will be competing against a range high spec'd smartphones under Rs. 10,000 category. Microsoft has launched its Nokia Lumia 638 smartphone in India. Touted as the most affordable 4G smartphone on Windows Phone 8.1, the Lumia 638 will be exclusively available via Microsoft Brand store at Amazon.in, while the prebooking starts December 17. The smartphone is priced at Rs. 8,299. The Nokia Lumia 638, recently unveiled in China, has a 4.5-inch FWVGA LCD display. It is powered by a 1.2GHz quad-core Qualcomm Snapdragon 400 processor along with 1GB of RAM. Other features of the smartphone include 5MP rear camera, 8GB of built-in storage and a micro SD card slot for storage up to 128GB. Connectivity options include 4G LTE, 3G HSPA+ 42Mbps (Dual Carrier) , WiFi 802.11 b/g/n, Bluetooth 4.0, GPS. An 1830 mAh battery powers the device. The new Lumia 638 comes bundled with an exclusive offer on Airtel 4G. Microsoft says Lumia 638 consumers on Airtel Post-paid in Bengaluru get access up to 5 GB of free data on 4G for 2 months post activation of their Airtel SIM on the new Lumia 638. The offer will be available until 31st March 2015.
how to replace windows 8 and deleting of windows 8.1 os from my nokia lumia 520 phone? 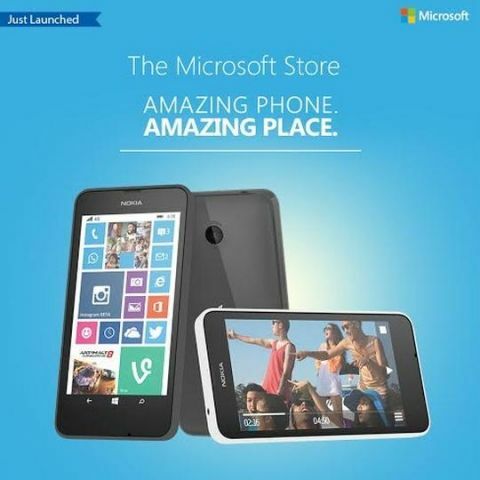 Can anybody tell me cheapest Lumia phone having \'Windows phone 8.1 OS\' ?